Sing it with me now . . . .
It’s the most wonderful time of the year. With new shows premiering and old shows returning, I’m in such good cheer. It’s the most wonderful time of the year. There’ll be cliffhangers resolving. New characters debuting. And characters who say goodbye. 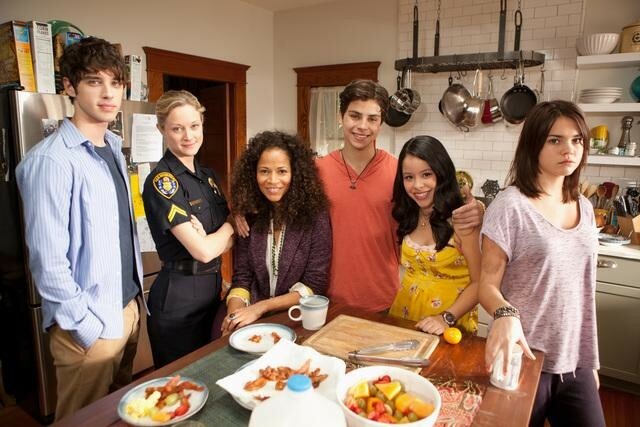 There’ll be dramatic new plot twists, results of big kisses and Parenthood will make me cry. We’ll see Olivia with her daddy. Ted with his wife. Alicia at her own firm. And I’m sure Scarlett will still make me squirm. So set your DVRs and get ready for the most wonderful time of the year. Can you tell I’m just a little excited for the new season? I know I haven’t been posting to the TV Gal blog that much but I have been busy writing. Here are some of my stories about the new season. Here’s my story about Brooklyn Nine-Nine, my favorite new show of the season, for Paste.com. 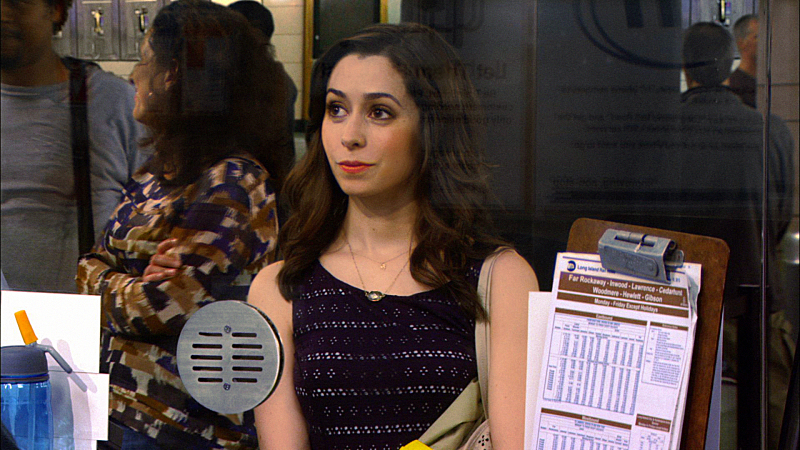 Here’s my interview with The Mother (Cristin Milioti) on How I Met Your Mother for Emmys.com. Here’s my story about the Five Things You Need to Know About the New Season of Parks & Recreation for xFinity. Here’s my story about the Five Things You Need to Know About the New Season of New Girl for xFinity. Here’s my story about the Five Things You Need to Know About the New Season of Nashville for xFinity. Here’s my story on the 10 Most Anticipated Returning Series for xFinity. Here’s my story on the 10 Buzziest New Shows for xFinity. What new show are you most excited about? (In addition to Brooklyn Nine-Nine, I’m intrigued by CBS’s new show Hostages and have a soft spot for The Goldbergs.) What returning show? (For me that’s Scandal, see photo above). Check out this calendar for a handy of reference for when everything is premiering. To celebrate the new TV season, I’ll be giving away two prize packs consisting of a Sleep Hollow t-shirt, an Almost Human pen and a Brooklyn Nine-Nine notepad. I’ll pick two winners at random from the comments. (You must live in the U.S. to win). You have until Friday, September 20 to post a comment. Now get ready for the most wonderful time of the year! 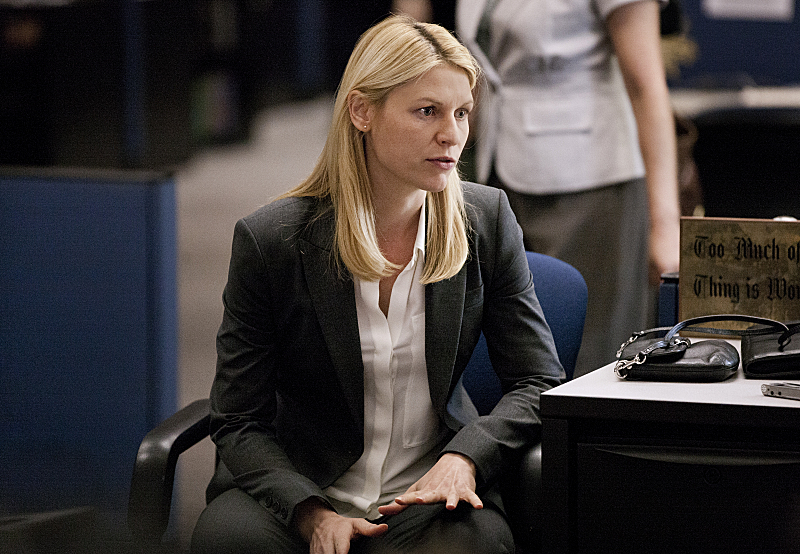 ‘Homeland’ Season Three – What’s Next? Are you excited for season three of Homeland? Or were you too disillusioned by season two? Talk about it below. I used to love Aaron Sorkin shows. I watched every episode of Sports Night. I never missed an hour of The West Wing. I even liked Studio 60 on the Sunset Strip (no really, I did). The man knows how to make compelling, smart, entertaining TV. I don’t even mind that he repeats himself. One of my favorite YouTube things ever last year was this. 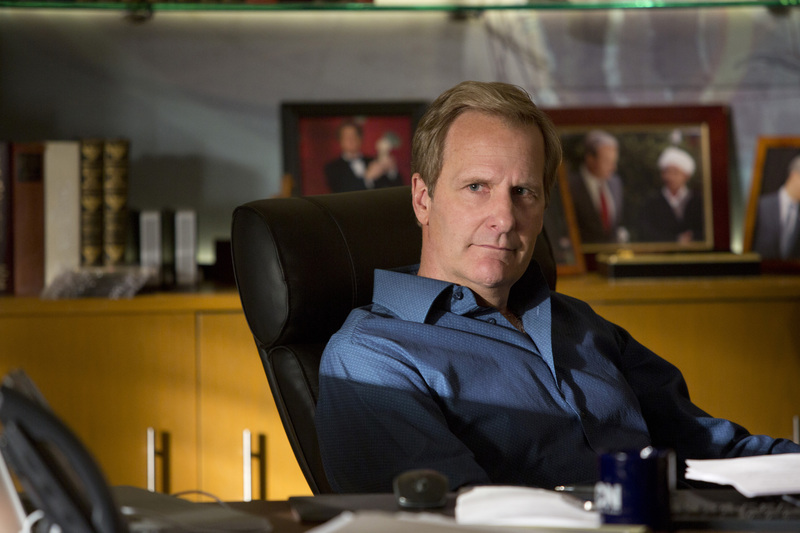 So when The Newsroom, which follows anchor Will McAvoy (Jeff Daniels) and the fictional ACN cable network, premiered last summer, I was excited. Until I watched the first episode. You can read the rest of this post over at Antenna Free TV. 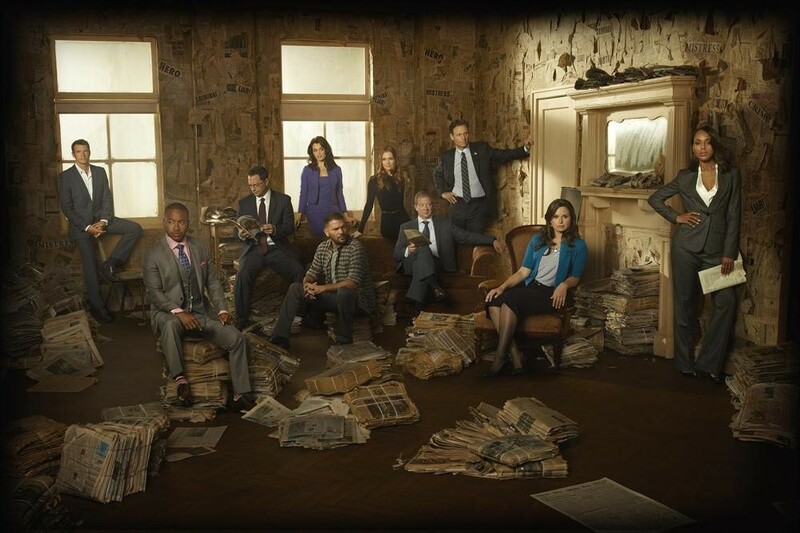 Are you all set with The Newsroom or do you like the show? Excited for Sunday’s second season premiere? Talk about it below. But, when the first season of The Killing ended, I wasn’t in an uproar. I didn’t feel the show had made an explicit or even an implicit contract with the viewers to reveal Rosie Larsen’s killer. However, when the second season lingered on and we still didn’t know who the killer was, I got bored. And here’s the most telling part – I watched the entire second season and, just now, I actually had to look up who the killer ended up being. The show left so little impact at the end of two seasons that even the solution to the big mystery didn’t stick. During the second season, I also started to get so annoyed with the show – the outdated technology (seriously even my parents don’t have flip phones anymore and it has been well documented that they live in the house that technology forgot), the never-ending rain, the inexplicable leaps in logic (Linden and Holder clearly attended the Ryan Hardy Institute of Not Requiring Back-Up Ever) and the tedious pacing (more happens in the first 15 minutes of a Scandal episode than happened in the entire second season of The Killing). But the real problem was Sarah Linden (Mireille Enos). Enos gives a palpably believable performance but her downtrodden character simply sucked the life out of the show. It’s tricky to have a character who is that gloomy as the show’s protagonist. And it was painful what a bad mother she was. There is something inherently interesting about a mother who clearly loves her son but can’t get it together but on The Killing it was just plain depressing to watch. When the show was cancelled, it was a relief. I wasn’t quite sure why I watched the entire second season (it was summer?) but cancellation meant I didn’t have to make any active decision about whether or not I was going to continue on with the show. Alas, I was wrong. Linden’s happiness lasted about 15 minutes and she was back to being beaten down again. The show is wallowing in everything that drove viewers crazy. There’s an endless amount of rain. Holder STILL has a flip phone (I’m going to mail him my old cell phone because it’s more current than the one he’s using) and the pacing remains sluggish. So now I have to decide whether this season’s mystery is going to be enough to hold my attention and will it be enough to outweigh all the things about the show that drive me batty. I mean maybe I am looking for a show that drives me crazy now that Smash is off the air? How about you? 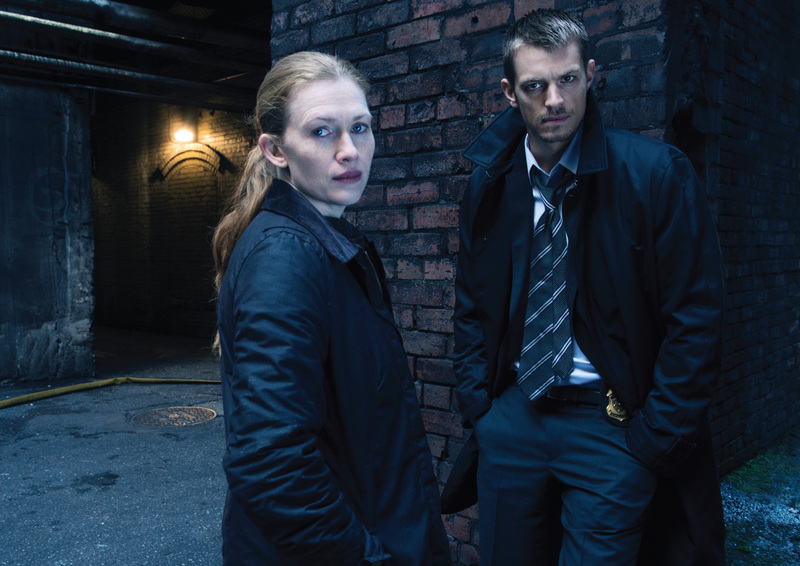 Did you watch the season premiere of The Killing? Are you going to keep watching season three? Talk about it below. That’s How I Met Your Mother creator and executive producer Carter Bays in the official statement CBS released about the finale. It makes my stomach hurt. Look I completely understand artistic vision and no show runner can make all the viewers happy all of the time. Nor should they. They shouldn’t bow to viewers’ wants and desires. So if Bays and his co-creator and executive producer Carter Thomas want to spend the ENTIRE ninth season on Barney and Robin’s wedding, that’s their prerogative. But, frankly, I don’t understand why. I was surprised to learn that Bays and Thomas had intended to end the series with viewers just getting a glimpse of the Mother as we did in the finale. We’ve all invested eight years of our lives in this relationship and I, for one, would like to see it play out. I want to see Ted and the Mother fall in love, maybe even get engaged. I want to see the Mother and Lily become best friends and share footwear. I want to see the Mother fully embraced by the gang. Plus, for reasons I’ll never understand, the show has made such a big deal about the fact that Ted is still hung up on Robin. This last little do-si-do in the Ted and Robin dance is truly horrendous. Really we’re going to hold hands in the rain? The show has beaten the storyline in such a way that I’m worried there’s no way we can be happy if Robin marries Barney and no way we can be happy if she ends up with Ted. They are slowly but surely sucking all the joy out of a show I once loved. I get that Ted still being hung up on Robin may be somewhat realistic – some people do spend their whole lives trying to get over someone. But that truth doesn’t make Ted’s pining particularly interesting to watch. For me to feel good about the Mother, I need to see Ted get over Robin and that can’t happen in one weekend. In the “The Time Travelers” episode it seemed to me that the show was strongly hinting at the fact that the Mother was no longer alive. I still have this lingering fear that the Mother died when the kids were little and Ted has been married to Aunt Robin all this time. Is that what the flash forwards next season are going to tell us? My other problem with this week’s big reveal is that it’s too little, too late. Timing is everything in romance and in television. What is arguably the show’s biggest moment happened at a time when I am past really caring who the Mother is. I am happy that she is a relative unknown. I’m happy for Cristin Milioti. TV is a tough business and it’s nice to see someone we haven’t seen before getting such a high profile role. Everyone is talking about her Broadway run in Once but I want to go back and watch the three episodes where Miloti played Johnny Sac’s daughter on The Sopranos. 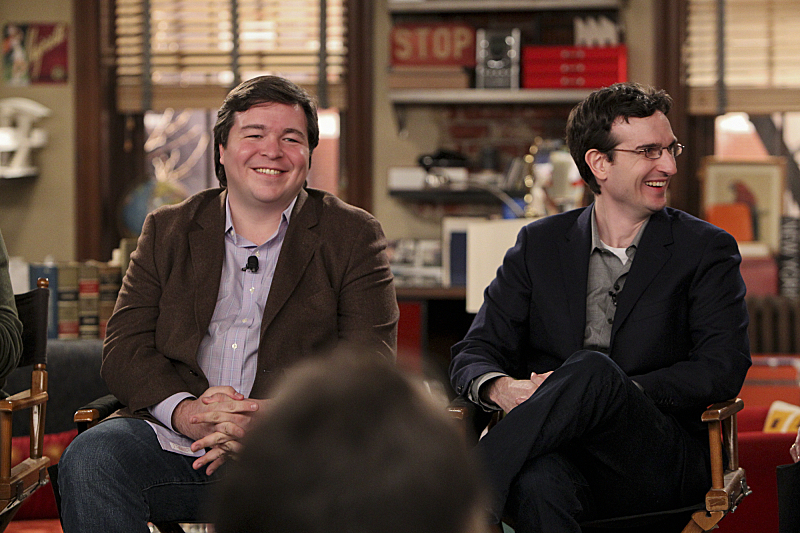 How did you feel about the How I Met Your Mother finale? Talk about it below. Smash killed off Kyle: Ugh that episode was the worst. Kyle got the most amount of screen time after the show killed him off. And just a quick memo to Smash: We already get that Hit List is Rent. You really haven’t been subtle about that at all. And we already know that Jonathan Larson, who wrote Rent, tragically died the morning of the musical’s first preview. So did you really need the Rent poster in the background shot? No you did not. But if you were going to do that could you at least have the characters acknowledge Rent? The moment was already super meta because Jesse L. Martin stared in the original Broadway production of Rent. Honestly, I don’t know what the show was thinking with this maudlin VERY IMPORTANT EPISODE unless it was supposed to distract us from the rest of the show’s ridiculousness like Jimmy singing to himself or Tom becoming a different character every five minutes. Smash is in the midst of a colossal creative collapse. It’s rather fascinating to watch and see what they’ll come up with next (Derek being blackmailed?). I cannot wait until the cast is able to speak freely about what they thought about this second season. Now that would be a show. No closure on the Kalinda/Nick storyline on The Good Wife: I hear you. I don’t ever want to see Nick again either. But I do fear that the longer the story line goes unmentioned and unsettled, the more likely it could be that it could reappear when we least expect it. 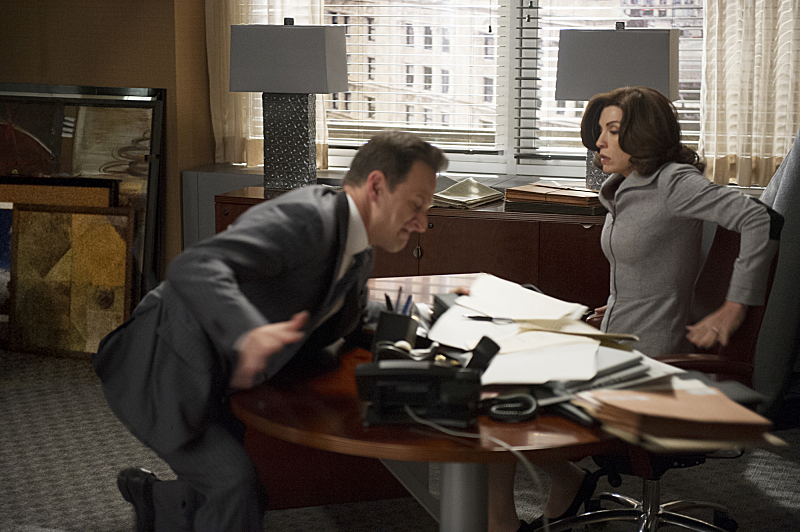 You can read my review of The Good Wife finale here. Just about everything on The Following: I’ve been thinking a lot about why I’m so willing to allow ridiculousness on some shows and so intolerant of it on others. For example, I don’t prefer but will allow the fact that James ended up being the one to interview Mellie on Scandal (especially because Cyrus explanation was somewhat reasonable in the Scandal world). But everything on The Following irks me. Maybe it’s because the premise to begin with is so unsavory or that the show keeps trying to find some poignancy amid all the gratuitous violence but the FBI’s utter incompetence (seriously how many times did they go places without backup?) and the show’s lack of basic logic made what was supposed to be a dramatic finale completely laughable. Obviously Joe Carroll is not dead and I’m pretty confident Ryan will survive (obviously). Maybe the show will take a page from the 24 first season playbook and kill off Claire. I started to wonder what would happen in season two and how the show could possible eke out more episodes on this ridiculous premise and then I remembered, oh that’s right, I DON’T CARE. I won’t be watching. Not one but two more seasons of Glee? : What can I even say about such absurdity? The season finale was inane even by Glee standards. As most of us had predicted but none of us cared, Unique was catfishing Ryder. Suddenly Joe and Sugar were back sans explanation. Rachel appeared to sing one song and then disappeared for the remainder of the episode. Britney got into MIT. Blaine’s still in high school but he wants to marry Kurt (what show do they think they are on? 7th Heaven?) Next season, I must break up with this show. I must. I might need to form a support group to get me through it because when the show is good, it’s very very good (seriously that “Everything was Beautiful at the Ballet” number was splendid) and when it’s bad it’s beyond horrid. Are you in a fight with a TV show? Talk about it below. And don’t forget to follow up my blog by clicking on the link in the top right hand corner.